(Fountain Hills – May 2, 2013) – Vestis Group is pleased to announce the completed sale of 4 luxury townhome units (bulk condos) of Fountain Hills Hamilton Condominiums, a 5-unit multifamily property, located at 13616 N Hamilton Drive in Fountain Hills, Arizona, for $740,000 / $185,000 per unit. 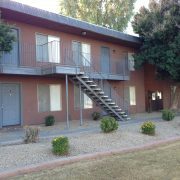 The buyer, a private investor from San Diego, purchased 4 of 5 units within the community. 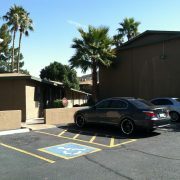 The seller was Anderson Separate Investments LLC of Fountain Hills, Arizona. Natan Jacobs, Les Litwin and Cheryl Edwards of Vestis Group represented the Seller in the sale. Fountain Hills Hamilton Condominiums is a 5-unit, luxury, loft-style, townhome community located in Fountain Hills, north of Shea Boulevard, near Saguaro and La Montana. 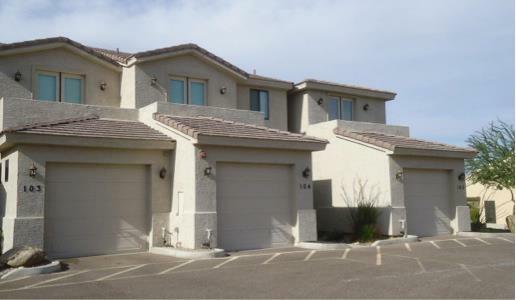 Built in 2007, Fountain Hills Hamilton Condos is a luxury townhome development, consisting of 2-level townhouse loft-style condos, equipped with 3 bedrooms, 2.5 baths, oversized two-car garages, private backyards, and kitchens that included cutting edge design. 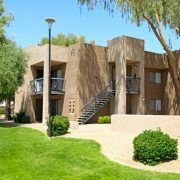 Interior features include stainless steel appliances, in-suite washer and dryer, granite countertops, polished concrete floors, maple cabinets, breakfast bar, walk-in closets, and all units are individually metered for electricity. 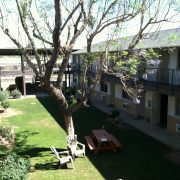 Common area amenities include sand-finished stucco, private patios, desert landscaping and over-sized two-car garages with extra storage space. 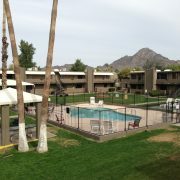 Fountain Hills Hamilton Condos is located in Fountain Hills, Arizona, near the cross streets of Saguaro Boulevard and La Montana. From Shea Boulevard, head north on Saguaro Boulevard, past the fountain. Left on La Montana to Hamilton Drive, Right on Hamilton Drive. Subdivision is on the left hand side.